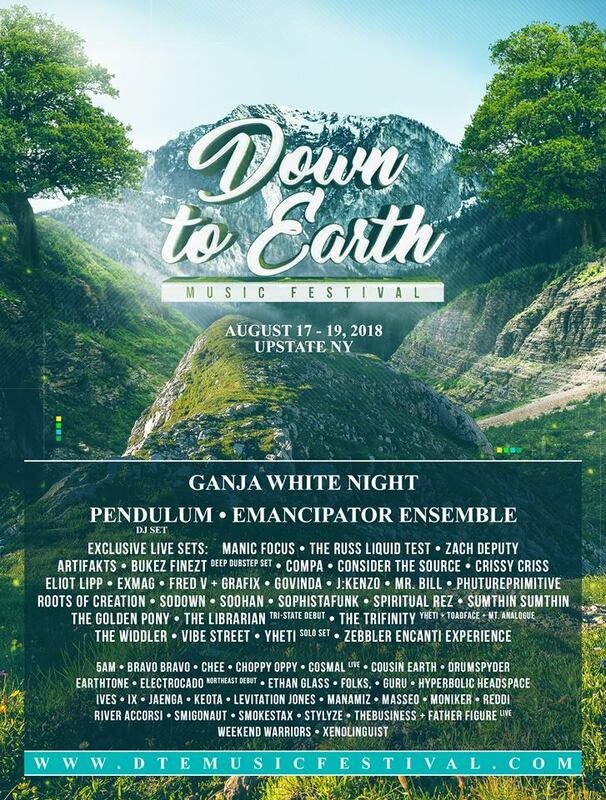 5/31/18: Down to Earth 2018 Lineup Announcement! We just released this years lineup for DTE and it is STACKED! We are especially stoked for Emancipator Ensemble, and you can catch us a few acts before them at 3pm Saturday on the Main Stage!